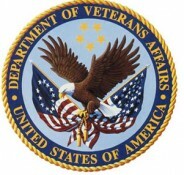 The latest salvo in the federal government’s war on physicians comes to us courtesy of the Veterans Health Administration (VHA), which is proposing drastic policy changes to expand nursing scope of practice in all veterans’ hospitals. The long-standing VHA Anesthesia Service Handbook would be supplanted by the new rules. It supports team-based care integrating the different skills of physicians and nurses, and specifies that “care needs to be approached in a team fashion taking into account the education, training, and licensure of all practitioners.” It also provides flexibility to individual VA Chiefs of Anesthesiology to set their own department policies. These concepts, apparently, are now out of favor. The California Society of Anesthesiologists (CSA) and the American Society of Anesthesiologists (ASA) strongly oppose the new proposed policies. They note that patients in veterans’ hospitals are 14.7 times more likely to have poor health status than the general population, and 14 times more likely to have 5 or more medical problems, according to a study in JAMA Internal Medicine. Veterans are more likely to have complications during a surgical procedure, and they deserve physician-level expertise on their anesthesia care teams. CSA leaders Peter Sybert MD and Mark Zakowski MD were instrumental in obtaining the co-signatures of California Representatives Julia Brownley, Paul Cook, and Raul Ruiz MD on a letter to the Secretary of Veterans Affairs, urging the retention of the team care concept and the current policy directives in the VHA Anesthesia Service Handbook. What can we do as individuals to speak up against the VHA’s proposed mandate for APRN independent practice? Contact our U.S. Representatives and Senators by phone or email. For anesthesiologists, the ASA Grassroots Network has drafted an email appropriate to send to lawmakers on the proposed VHA nursing policy changes, and will send it for you with your signature. Or call senators and congressmen at their offices and speak to their healthcare legislative aides. The new policy handbook is nearing its final version, so timing is critical. Our veterans deserve better. Are the people running this show really that stupid?? Many people don’t understand that a CRNA is trained as a nurse, learns the same anatomy, lab values and test that physicians learn, with a 4 year BSN degree. In addition they have then spent years in a high acuity area, the ER or ICU. After this they go on to obtain a Master degree over usually a 3 year time frame. This training includes long clinical hours of performing skills under supervision, and lastly passing a state certification exam, which isn’t easy by any stretch. Every day CRNAs provide anesthesia with the same equivocal skills as their counterparts and do so with the same outcomes. As for the controversy, there is only so much money in the health care pot, anesthesiologist are fighting to remain paid 2 to 3 times what a CRNA works for. If they supervise a CRNA they take 50% of the reimbursement for minimal participation. Some anesthesia groups even pick the cases they will preform and the cases that will be supervised by your insurance provider, high payers verses low payers. So I ask you is this about safety, or is this about the almighty dollar. This isn’t only about anesthesiologists in the VA, it’s about having the system being almost completely staffed by nurses. As I stated, my father was a Sgt-Army medic that anesthetized surgery patients, standing next to the surgeon that were removing shrapnel from wounded soldiers. The local VA often helps train medical students-physicians in different specialities- Even older doctors can learn from a nurse-but there should be some doctors around an ER, and the different wards and diagnostic clinics. My son had to admit himself to the VA psych ward, which is run by nurses like you, and psych social workers. After several days, my son came down with the stomach flu. The first 24 hours, his room mate was caring for him, and asking for Pepto-Bismol to help my son. When I visited, I asked when the doctor would see him. I asked why he hadn’t been given any pepto—How about warm 7 UP, ginger ale- just a few sips. Were they checking for signs of dehydration- why weren’t they using rubbing alcohol on his torso to bring his temp down, blah, blah? The next visit, his room mate and a few others were sick too. I was asked to go to the room in back of the nurses station. They had a list of the 7 UP, rubbing alcohol, etc. They confessed that they didn’t have the slightest idea of how to care for these people, and one of the nurse’s children came down with it. These are not stupid or lazy people. They looked on the Internet and saw that rubbing alcohol reduces body temp. There specialty was not stomach flu, and their grandmothers took care of their kids, while they earned their degrees and licenses. They wanted to know every trick that I knew. My son and his roommate recovered. Finally the amount of flu cases reached the % point of where they were required to report this. They told me that they had good marks for controlling and treating this. The patients weren’t dehydrated, the psych resident MDs had managed the meds well. The VA kitchen kicked in with chicken broth for the patients. All of that impressed the medical staff that came in. They wrote a small book on handling a stomach flu outbreak in a psych ward-and it was published and sent to other VA psych wards. Unless you’re trained in a psych ward-the least trained psych nurse probably knows more about different affects than you do, as you know more about anesthesia than they do. The point is that because of the medical rotations through ER, pediatrics, OB-GYN, primary care, orthopedics, a physician has a better broader base of most medical specialties-this includes book knowledge and hands on. We say that we value our wounded warriors-this isn’t supposed to be about upset nurses, but keeping our word to the wounded warriors. Do they deserve to have qualified physicians in the VA system to care for them? Does the VA deserve to have adequate funding to care for them? I just know how upset my son was to find out that by Jan. there will not be a physician in a regional VA ER. I had to take my son, a disabled vet, to the VA ER last month. They told him there that in the next year he won’t be seeing a doctor in the ER, as Nurses, etc. will be doing everything. An ER? My son is not happy. OK my father was an Army medic in the 1930s, a Sgt. and he was the anesthesiologist. Even without antibiotics, CAT Scans, ultra sounds, PET scans, and MRIs, most of the patients survived. I will add that I aspirated at an AF hospital and I was lucky to have qualified doctors attending. My son’s heart stopped 3 times at Tripler Army Hospital in Hawaii, during spinal surgery, and he was lucky that he had a surgical team of highly qualified surgeons attending. What else can I say? As a veteran, a soldier (reservist) and an employee of my local VAMC dept. 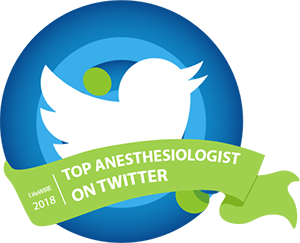 of anesthesia I would like to respectfully disagree and make a few points. 1) in many VA medical centers CRNAs already operate without supervision. These tend to be centers in rural or underserved areas. 2) many of our patients, while on active duty becoming veterans, were cared for by CRNAs who operate autonomously “down range” in seriously adverse conditions. 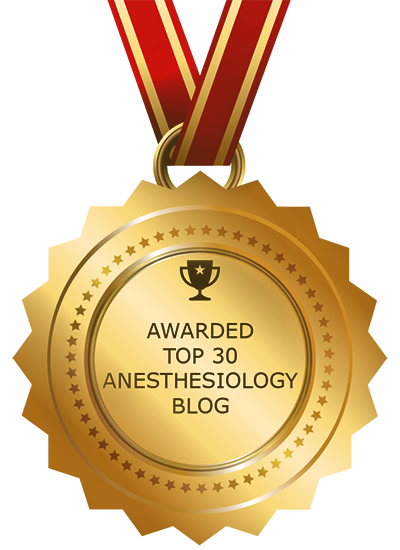 3) removal of supervision does not mean the end of anesthesiologists. My department employs 3 (one in the pain clinic, one runs the pre-op clinic and one is dept. head). During the day they are all on station and available for consults or to provide an extra set of hands for a challenging block, epidural or expected difficult airway. To that end I have a very low threshold for bending the ear of any experienced anesthesiologist or CRNA when I look down the barrel of a challenging case. To not seek assistance for political or egotistical reasons would be the hight of irresponsibility. Looking at closed claims I see, over and over, someone who was getting into trouble and decided that through force of will they would be able to extricate themselves. 4) the majority of the CRNAs in my department (a ratio of 3:2) are currently affiliated with the military as reservists or have been in the past. As such we are accustomed to working independently. 5) I agree that VA patients tend to have more co-morbidities than your average population (70 yr smoker, diabetic, obese coal miner with peripheral vascular disease? check my waiting room) to wit: most of our patients are ASA-3, ASA-4 is not uncommon. An ASA-1 would be like finding a unicorn in pre-op holding. This does not effect my ability as a CRNA to provide safe and effective anesthesia. It does keep me on my toes, especially at 2am when I am the only provider on site. In conclusion, thank you for your articulate posts. How Proposed New Rules Could Change the Anesthesia Care Team | Srraa! Will your anesthesiologist leave the OR? Patients deserve to know. | Srraa!